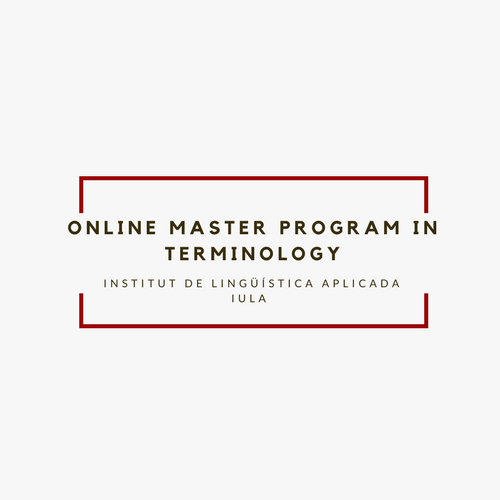 On the occasion of finishing the 10th edition of the Workshop III: Terminology Management with Translation Memories, offered by IULA, I have decided to devote this post to one of the primary aspects of the terminological activities, i.e. terminology management (TM). Basically, TM is a set of operations for the creation and maintenance of terminological data, targeting the broad community of translators, terminologists, interpreters, librarians, technical writers, journalists, lexicographers, philologists and linguists as well as specialists of different fields interested in the creation of glossaries for their respective disciplines.